Printing patterned papers and making folded books as examples to show at a one day workshop I’m running at ACEarts in Somerton in Somerset on Saturday 27 April (10 -4). 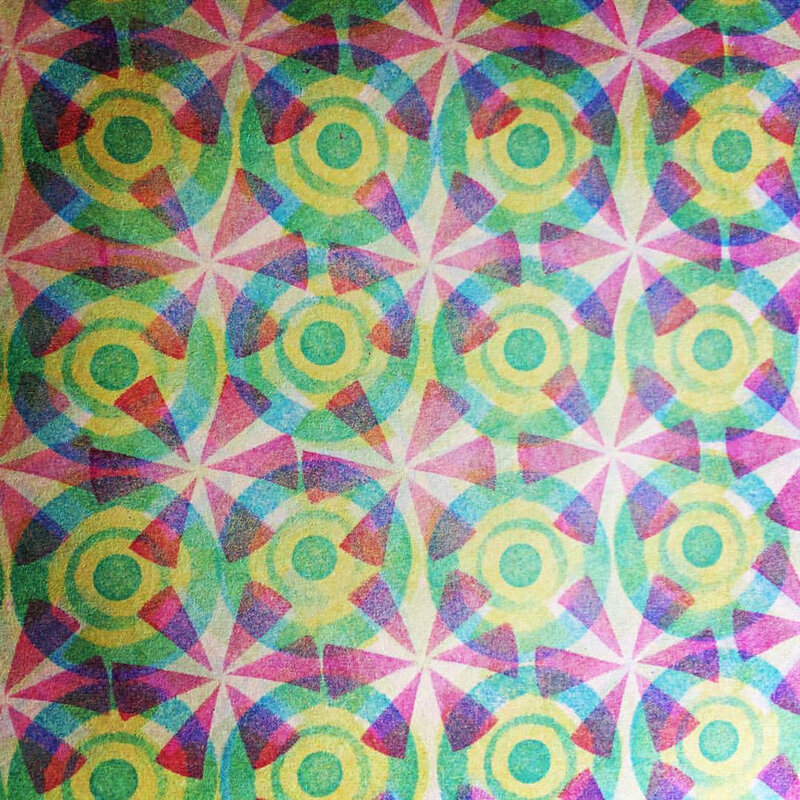 We’ll be stamping our own patterned papers, then using them to make a collection of small folded books. Should be fun! Just a few places left, so get in touch with ACEarts if you’re interested in joining me... . . . Finally getting back to working in my sketchbook… collaging scraps from monoprints. Making slipcases for my edition of folded books of arrows. I find my set of key stock (gauged metal bars) really handy for measuring common widths on a production line of books. But I’ve just discovered a new use... weighing down the glued flap on a slipcase while it dries. A small thing, and I know it’s pretty niche, but this has made a fiddly and time consuming task a whole heap easier! Collaged bits and bobs from my typing experiments... they remind me of high-rise buildings... now thinking of a typed cityscape concertina book. 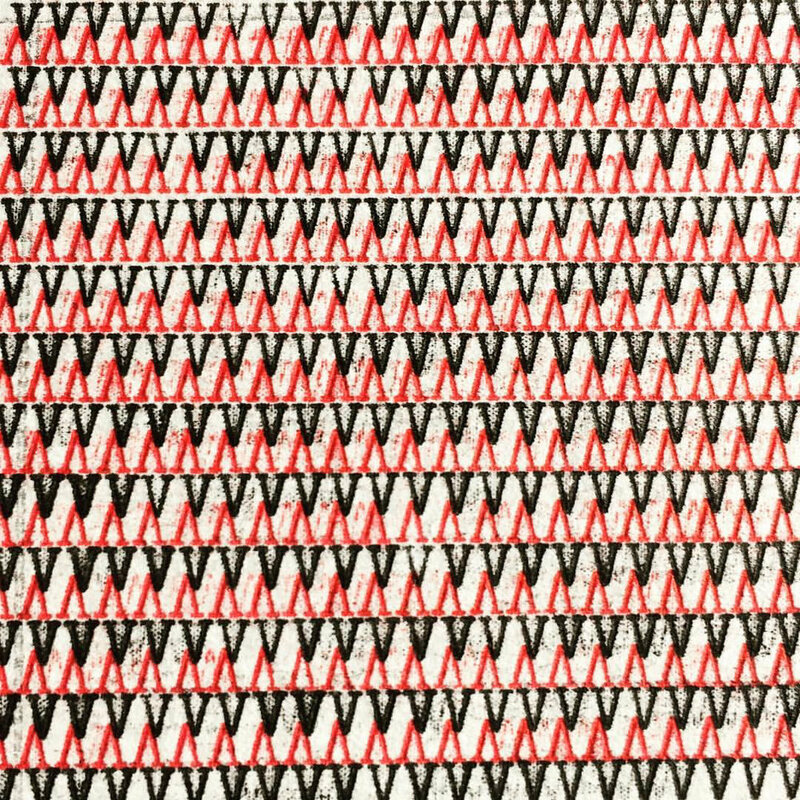 . .
Typewriter patterns - becomes quite addictive once you get into the swing of it. . .
Making tiny star books for Bristol Artists Book Event (BABE) - running out of weeks so need to ramp up into production line mode. It’ll be at the Arnolfini in Bristol on the weekend of 30/31 March. . . . 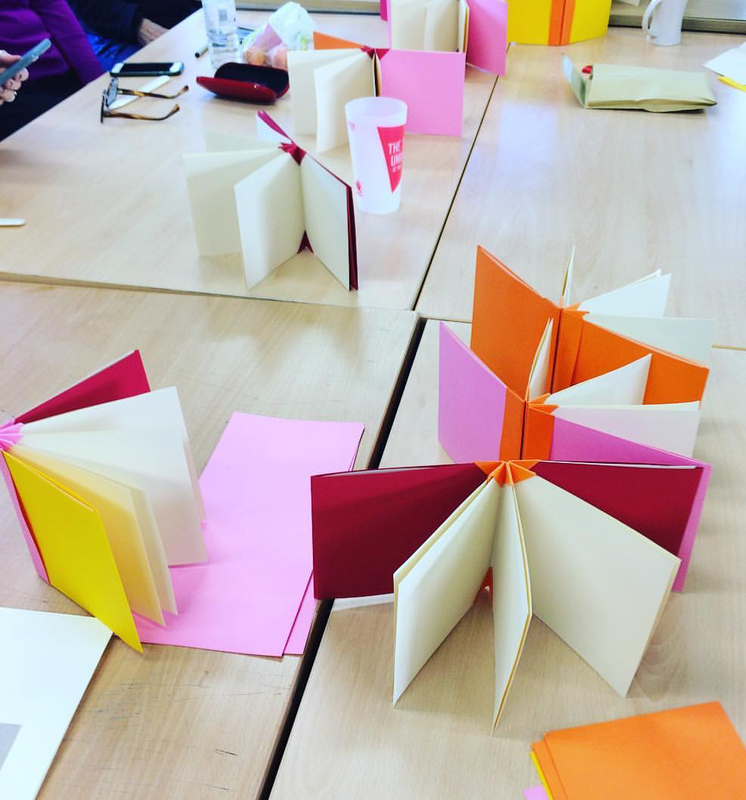 I ran a really fun crown binding workshop at the Artists’ Book Club at UWE last week. It’s a Hedi Kyle structure – based on her famous blizzard book folds – although this workshop was based on a simplified version developed by Alisa Golden which is just the spine structure. Thanks to everyone who came along... lots of lovely books made in super-fast time! W is for waftage, meaning transportation through air or water. The latest rubber stamp illustration in my Anglo-Swedish exchange of words collaboration with Eva Hejdstrom. The exhibition curated by Simon Ryder of Liverpool Book Art is moving this week from Liverpool down to Bristol. Work by 50 artists all created in response to Mary Shelley’s ‘Frankenstein’ will be on display at Bower Ashton Library at UWE from 1-28 February. I’m gathering together some of my preparatory materials for my embroidered book to take along to a Show & Tell event at the library on Saturday 2 February, 11am - 12.30pm. 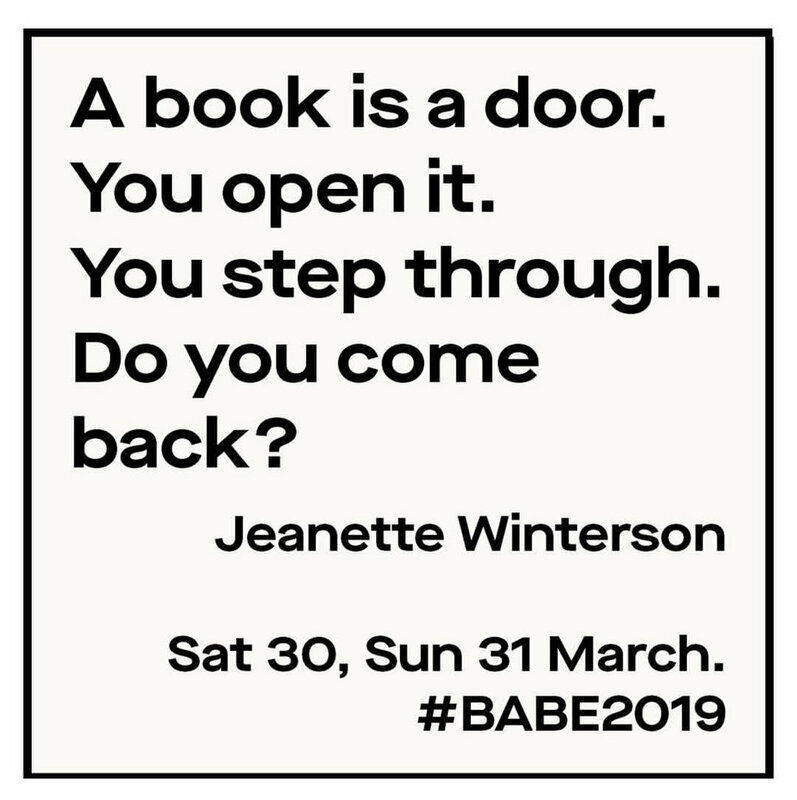 I’m really looking forward to seeing all the books and hearing more about the exhibitions in Liverpool. Tiny collages using the stash of letrafilm kindly gifted by Eva Hejdstrom. I’m enjoying working quickly and intuitively at this small scale. A new year, a new letter in my exchange of words with Eva Hejdstrōm. V is for vågig, a Swedish word meaning wavy. . .
Lovely end to the year to return home from Christmas travels to find the new edition of Uppercase magazine waiting. Thrilled to bits that my Anglo-Swedish exchange of words collaboration with Eva Hejdstrōm is featured in this tenth anniversary issue. We’re currently up to V in the alphabet, so on the home strait now. It’s been such a fun project to work on together... the pure opposite of the absolute nonsense of Brexit. Here’s wishing everyone a very happy and creative 2019!